TECHNOLOGY is changing at a rapid pace and so are the needs of consumers. To add to the challenge, consumers are spoilt for choice when it comes to brands. To capture the attention of consumers and translate that into a long-term relationship, Lenovo has elevated its game with a renewed strategy — offering end-to-end solutions. More than just offering good services, Lenovo ensures a smooth experience from the awareness stage through to the purchasing process, and finally, after-care services. Lenovo’s Regional General Manager for Central Asia Pacific, Ivan Cheung, says instead of being a product-centric company, Lenovo has shifted its focus to becoming a customer-centric company. Cheung says in the past, the focus was the ability to develop products and ship them globally. “The user experience is just as important. With smartphones and 4G so popular, it has now moved from ‘product is king’ to ‘customer is king’. “While it was difficult for customers to give feedback in the past, now they can easily share their experiences on social media. Through the Internet, we have the capability to collect feedback from vendors and customers,” he says. Cheung says Lenovo incorporates a three-wave strategy to its business. “In the first wave, we emphasise leadership in our core business, the PC and smart devices. For the second wave, we’ll focus on growing our key segments, which are the data centre and mobile. 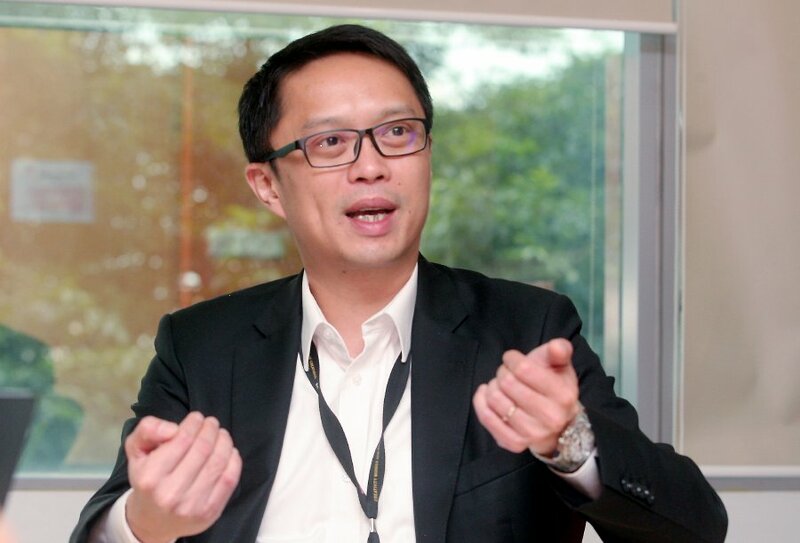 He says Lenovo’s emphasis on customer centricity across the entire organisation also includes implementation of training programmes and KPIs. Cheung says the company leverages on new technologies such as AI and machine learning to gain deeper customer insights and make data driven improvements to its services. “We are using analytics to power our closed loop customer satisfaction process. Every customer comment is read and categorised using a mix of human insight and machine learning to identify the common themes we need to address,” he says. Lenovo has already deployed AI-enabled chatbots in the central Asia Pacific to be more agile in addressing customers’ queries and requests while freeing up its human resources. The company is now planning for similar deployment in India, Australia and New Zealand. Besides AI chatbots, Lenovo also launched a tool which is able to detect a customer’s emotions during a call before being routed to the appropriate customer service agent. Lenovo is the only player in the market that still invests in PC innovation to deliver new form factors, supporting new applications and experiences, and fostering collaborations to drive growth in the fast-growing segments such as detachables, gaming PCs, and workstations. “For example, at IFA 2018 in Berlin, we announced our brand new line-up of innovations, bringing many ‘firsts’ to the industry. “We introduced the first notebook with a rotating sound bar that’ was developed with Dolby (Yoga C930), the first dualscreen convertible with E-INK (YogaBook C930) and the first always-connected PC with Windows on Snapdragon (Yoga C630 WOS). “We are continuing the strong momentum to deliver the most innovative devices in this fast-emerging segment such as AR/VR and smart living too. Our products (such as Lenovo Mirage Solo with Daydream, Lenovo Mirage Camera with Daydream, Lenovo Smart Display, Miix 630, and ThinkPad series) garnered 80 awards and honours at CES 2018. “We invest approximately US$1.4 billion in R&D globally and are rich in talent, employing more than 3,200 engineers, researchers, and scientists,” he says. 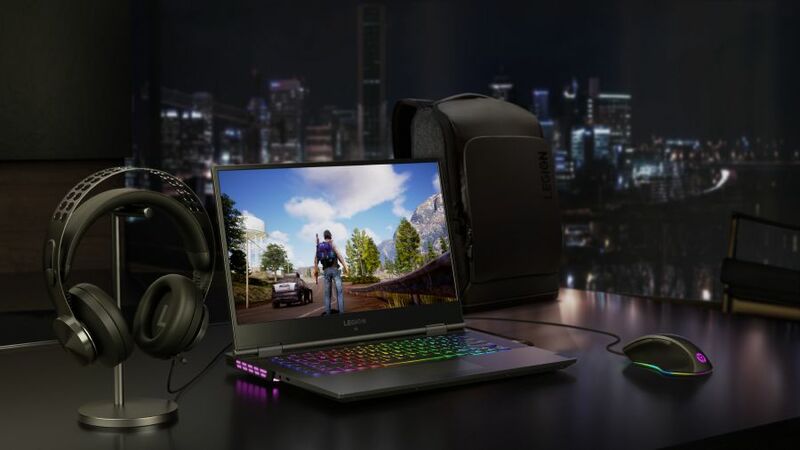 New Lenovo Legion gaming laptops and accessories introduced at the CES 2019 recently. This year, the focus will be more on their gaming lineup — the Lenovo Legion. Cheung says gaming accessories including keyboard, headset, backpack, and mousepad will be introduced besides enhancing offerings on the gaming PC. 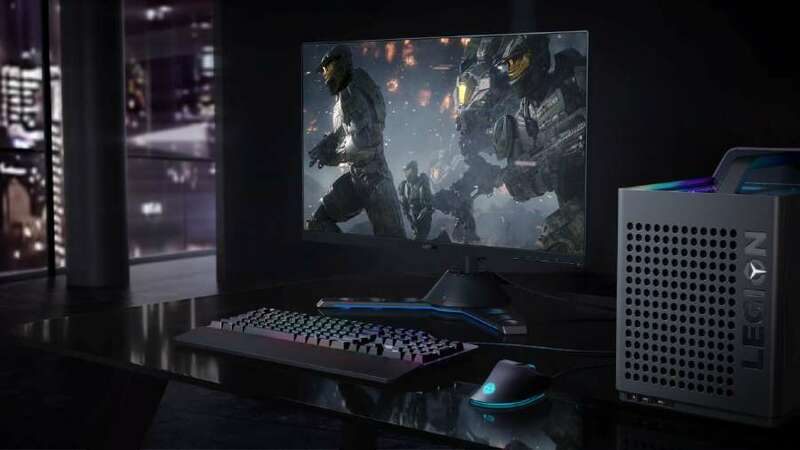 At the CES 2019 recently, Lenovo introduced their latest Lenovo Legion gaming line-up with a new range of high performance PCs and an entire family of re-designed gaming accessories and monitors. The latest gaming additions to the Lenovo Legion line-up include Lenovo Legion Y740 and Y540 laptops, RGB mechanical keyboard and gaming mouse, ergonomic gaming headsets, monitors and upgraded towers. Cheung adds that customers who wish to customise their devices can also do so through its official website at www.lenovo.com where they can opt for the configurations that they want, and Lenovo will then manufacture their devices accordingly.